Snow White postcard 1. 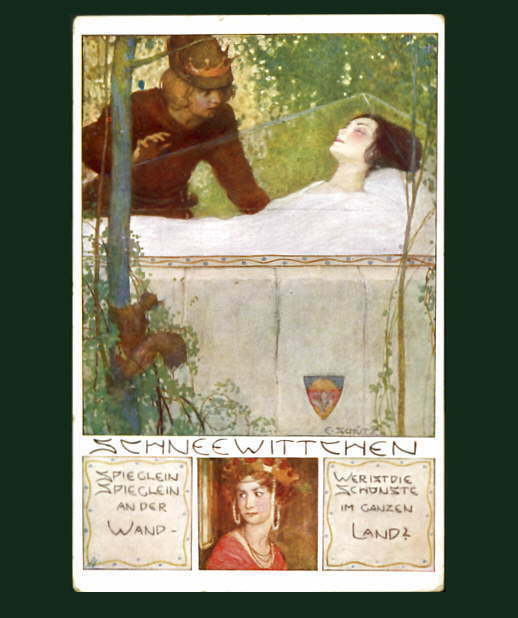 Snow White postcard. Wallpaper and background images in the Fairy Tales & Fables club tagged: fairy tales snow white seven dwarfs. This Fairy Tales & Fables photo contains gazeti, karatasi, magazine, tabloid, rag, jarida, tabloidi, limemalizwa, anime, comic kitabu, manga, cartoon, and mkono.